Well, there are people out there that are obsessed with our four-legged friends and who can blame them. Years ago I started to see pets featured during the ceremonies especially serving as ringbearers. While it’s still somewhat popular to do, the pets have graduated to wedding introductions. 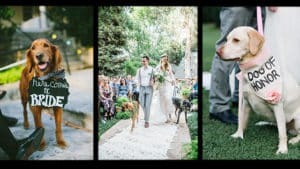 Admittedly I have only seen this a handful of times, and you may want to check with your venue first (PROTIP), but it gets a massive reaction from the crowd because who doesn’t love pets? 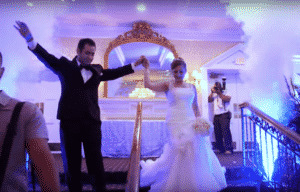 These ideas are just a few fresh ways to change up the wedding introductions and make them so memorable that your guests will be talking about it for years. If you need a consultation on how to make any of these ideas come to life don’t hesitate to get in touch with our fantastic wedding DJ/MC & Video production teams.